Hailing from the country's La Mancha region, Manchego is Spain's most popular cheese, and as such, many industrial producers have a hand in making it. Smaller, artisan producers of this aged sheep's milk cheese, such as Delores Palomares Pasamontes, a fourth-generation cheesemaker, can be difficult to come by. But when you taste the complexity of flavors of these wheels, made at this creamery since the late 1800s, you will understand why smaller, in some cases, is better. The milk for Manchego Pasamontes is collected from five flocks of Manchega sheep that graze on natural pasture. 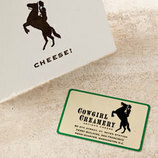 The resulting cheese offers a bright acidity with savory undertones of earth and grass. As it ages, its paste assumes a deeper yellow color, and a crumbly, but never waxy, texture. 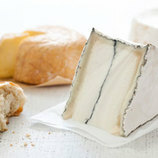 The exterior of the cheese is pressed with a requisite basket pattern and then treated with an anti-mold solution that allows the cheese to breathe and develop a natural rind as it ages.